As you know, I’m a Reiki teacher, which is a practice/art/modality that this particular linage derives from Japan. While it may be common knowledge that Reiki was “discovered” in the early 1920s, but what may not be well known within the history is the jump that it made from a Japanese practice to something that is primarily practiced in the western world today. Google it, Reiki isn’t that big in Japan, or not in a public way that it is in here, which blows my mind because it’s a practice of Japanese origin! (And while it’s of Japanese origin, it’s for all the peoples of the earth). Why? 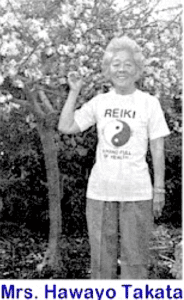 The woman we can attribute to the spread of Usui Reiki to the U.S. is Mrs. Takata. She was an American of Japanese descent living in Hawaii in the 1930s when she learned Reiki in Japan on a visit to her family’s homeland. I believe she started teaching Reiki in the 1950s. What happened in those years for Mrs. Takata between the 1930s and the 1950s? If we’re familiar with our history, World War II and and for those of Japanese descent, the west coast internment camps. By whatever it is that you believe in: chance, luck, grace, Divine will or a combination of all of the above, she was able to evade these camps despite her ancestry. Through that lineage descending from her (both Tibetan and Holy Fire, which is the form I practice today), it made it’s way to me starting in 2010 and I can say without a doubt it has completely transformed my life. If she was send to the camps, perhaps I would still have the grace of Reiki in my life, maybe not. Who knows? All I know is my life is made better by Reiki as well as my students and friends and strangers who share in this practice of love and compassion. What is going on today with the separation of immigrant children and their parents at the border is no different than the Japanese internment camps of the 1940s. It’s based in a fear of the other, but this so-called “other’ is a human being just like us. While I am grateful that Mrs. Takata wasn’t sent to the Japanese internment camps, I mourn for those who were and I am horrified at what is going on today at the loss of our basic humanity. If you would like to support the reunification of immigrant children with their families, please consider supporting this fundraiser, sponsored by RAICES, a law firm in San Antonio, Texas that is actively standing up for the reunification of these families.